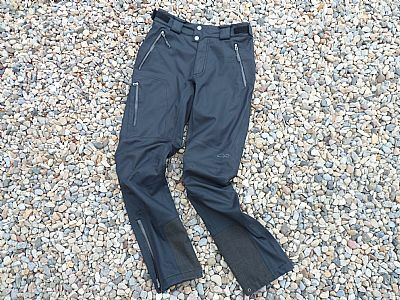 The Outdoor Research Alibi Pant is a high performance soft shell trouser designed for ice climbing. Made from Ventia fabric with a tapered fit, gusseted crotch and articulated knees for ease of movement whilst climbing. The ‘tapered’ fit may not be to the liking of everyone, but for the athletic slim climber type it should be a welcome change from baggy ill-fitting traditional salopettes. The lack of excess fabric makes the Alibi Pants feel extremely streamlined with a clean calf/ankle area reducing the risk of catching with crampons. Outdoor Research have managed to achieve this fit without impeding movement as the gusseted crotch and articulated knees mean that the trousers are already effectively hinged for movement. 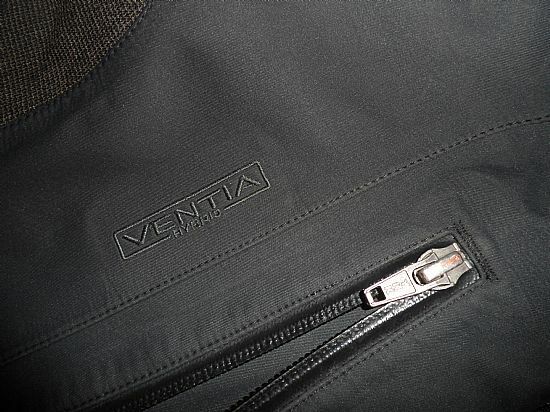 When new the Ventia fabric is almost shiny and relatively stiff, quite akin to a hard shell trouser. Whilst this does ease with use, the hard shell comparison remains. These trousers are designed specifically for ice climbing and should be viewed as a more comfortable but not quite as protecting alternative to a hard shell waterproof trouser. 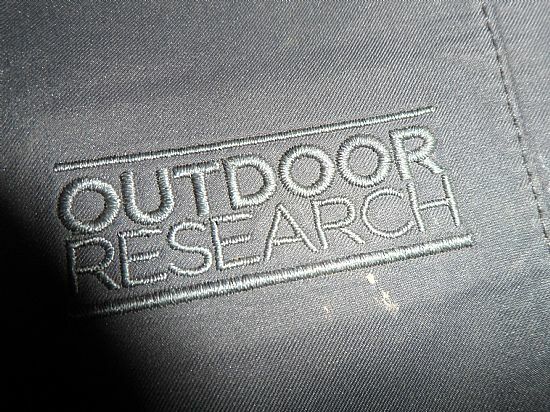 The Ventia fabric used on the Outdoor Research Alibi Pants is reassuringly water resistant (when new and when reproofed). However, it definitely falls into the membrane soft shell fabric category and therefore breathability is somewhat limited. 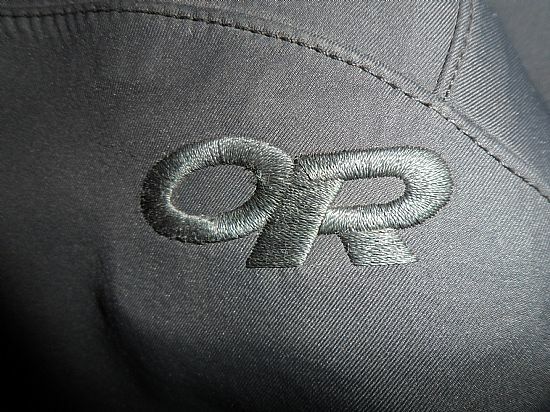 Opening the pockets effectively vents the trouser which helps to alleviate the lack of breathability. However, it should be made clear that the Alibi Pants struggle in higher temperatures. The tapered fit leaves no excess fabric. The gusseted crotch and articulated knees allow good freedom of movement. 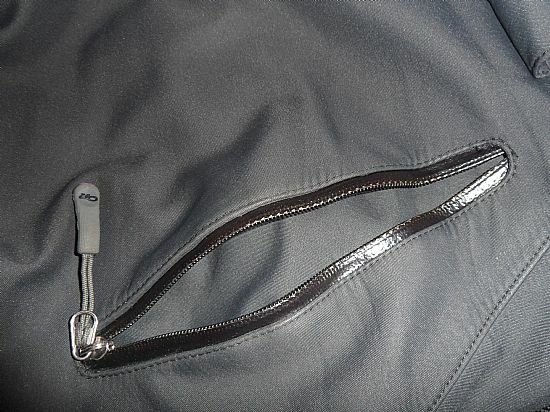 Hand pockets are lined with a perforated fabric allowing ventilation. Boot lace hook helps to retain trousers in position when walking through deep snow. Whilst the Ventia fabric is very water resistant it is limited by its breathability for use on longer approaches and higher temperatures. Reinforced ankle scuff guards take the brunt of the abrasion however if they were slightly bigger the seam which runs around the outside of them would effectively be moved out of the way of abrasion as it is otherwise a weak spot for durability. The Outdoor Research Alibi Pants are a near perfect soft shell trouser, featuring a brilliant athletic cut and many practical features.